Design Portfolio Marketing Services sponsors awards to our students in memory of alumnus Vincent MA. 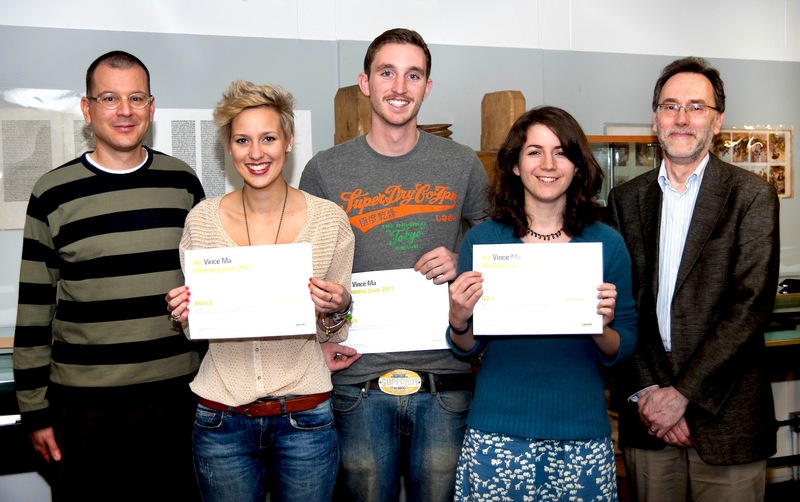 This year’s winners were (l to r) Jaime Redgewell, Adam Holmes, and Katy Mawhood, shown here with Eric Kindel and Paul Luna. Our thanks go to Alison Gold and her team at Design Portfolio for their enthusiastic support of our students.